ASG Senators Bassel Shanab and Emerson Carlson speak at an ASG meeting about a smoking referendum. The referendum said 51 percent of students believe the University should not change anything about smoking policy on campus. A March 16 Associated Student Government referendum said 51 percent of students believe the University should not change anything about smoking policy on campus. According to the referendum, 38 percent of students strongly disagree that smoking on campus is a nuisance, while 27 percent of students strongly agree that it is. 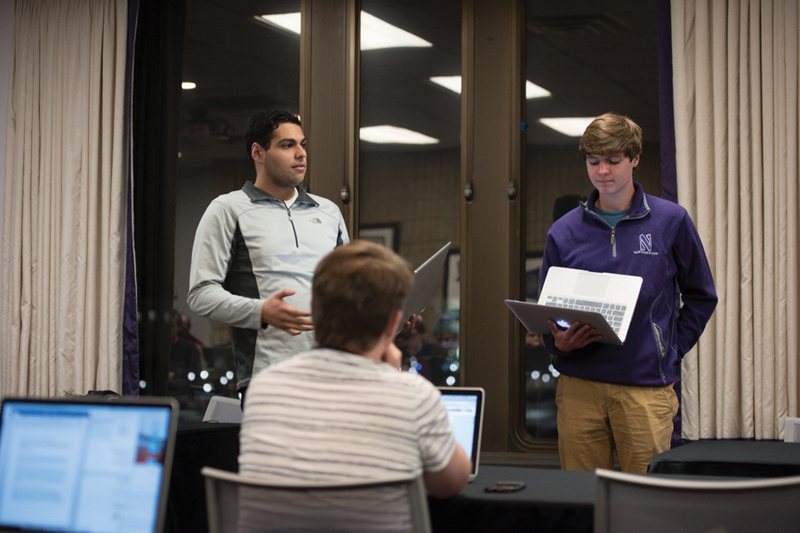 Weinberg freshman Bassel Shanab, who spearheaded the legislation for the referendum, said he wanted to get students talking about cigarette policy at Northwestern. He added that while he doesn’t understand all the reasons why some students smoke, he wants to ensure that students who choose not to don’t have to inhale secondhand smoke. Although ASG Senate tried to pass legislation to make NU a tobacco-free campus in 2013, it was rejected. After Illinois banned smoking on state university campuses in 2015, Senate tried to pass similar legislation but failed again. University President Morton Schapiro said in March that the issue of smoking on college campuses can be more complicated than it seems. According to the referendum results, 25 percent of students believe the University should enforce 25-foot limits more often, while 24 percent of students believe the University should ban smoking on campus. Shanab said some ASG members “tend to forget” that this referendum was just a survey sent to the student body, not a definitive policy. While he said he was disappointed by some of the referendum results, he felt he accomplished the main objective of getting people to talk about the issue of smoking on campus.